When you’re repeatedly accessing the same set of equipment, you want it to be ready at hand. 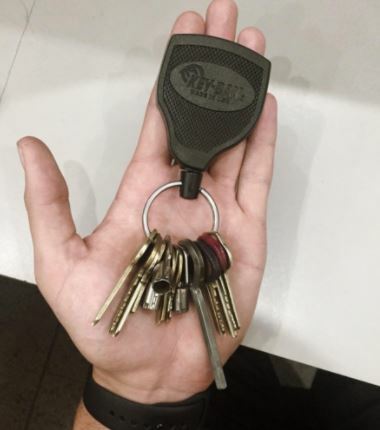 For the purposes of keys or similarly small gear, you certainly don’t want to have to dig through your pockets every time you need to use something. 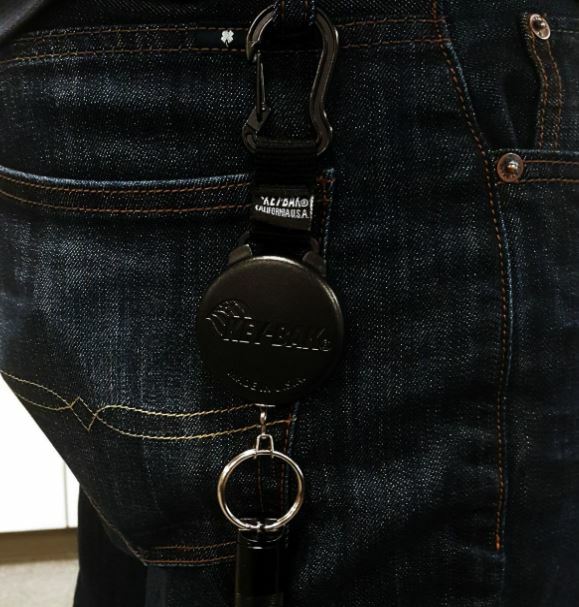 And there’s no doubt the most comprehensive solution is a retractable keychain gear tether. They’re used by hunters to carry pocket scopes, by outdoorsmen for hanging gear, and by the general public for keeping their keys at hand. But a retractable gear tether is actually a great tool for any job that requires regular access to small instruments, largely thanks to their ability to make ubiquitous attachments. Selecting the right retractable gear tether comes down to a few key factors, the most important of which is the size of the tether. That’s because the size of the tether plays into all the other important factors, especially retraction force and cord length. Apart from build sizes, retractors are also made in a variety of color options. Color may seem like a personal preference, but for the purpose of hunting you’ll want to select a tether that both matches your camouflage and lacks reflective parts. As mentioned, the retraction force of the tether depends largely on the size of the device you’re using. Larger retractable key chain gear tethers will have more retraction force; smaller gear tethers will have less retraction force. The extension distance of the cord depends on the size of the unit as well, but most gear tethers are made with cords which are between two and four feet. And on the largest sizes of retractable gear tethers, you’ll often find features like locking systems. Those are useful for taking tension off the line, and allowing the tether to stay at whatever length you want. For people who are using a retractable gear tether anything besides hunting, you most likely don’t have to worry about the device. But if you’re heading into the wilderness and preparing to count every single ounce of weight you’re taking along in your bag, then you’ll want to pay attention to the weights of the key-chain gear tether you choose. Many of the more durable tethers on the market are also surprisingly heavy. Many retractable tethers make use of optional attachments, which can make it quick and easy to swap your gear, or share it with someone else. But those attachments may not be included, or may be challenging to use. More importantly, you’ll want to think about the type of locking mechanism that secures your gear. You want a locking system that’s relatively easy and quick to use, without losing any reliability. Some retractable tethers make use of fully redundant locking mechanisms. As a result, attaching or removing your gear from the tether can be an involved process. On the most complicated models, you may be required to unseat and reseat wires inside the locking mechanism. These kind of involved connections can be incredibly sturdy, but are worth avoiding if you’re going to be removing gear from your tether very often. If you don’t need a locking mechanism that will hold up under life-and-death circumstances, then you’ll have no complaints with the security provided by a relatively ordinary carabineer. 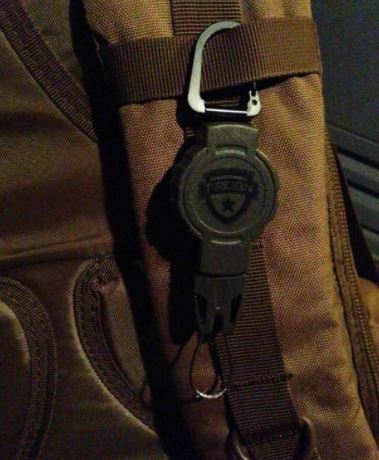 Whether you’re ascending Mount Everest or geocaching in your own neighborhood, you want to know your gear is secure. And you want to know that security is going to hold up tomorrow and in years to come. For outdoor purposes, gear tethers need to be put through environmental testing to ensure they’re build to survive in rain, snow, freezing and warm temperatures. Even if you’re not climbing a mountain, you don’t want a retractable key reel to break the first time you drop it. But when you’re dealing with mechanical devices, breakage is a very real possibility if the device isn’t built to take a beating. Apart from reviews, the best indications of a products durability are either a warranty or service guarantee. A lengthy warranty demonstrates the manufacturer is confident in their design, but it’s worth remembering that warranties tend to be conservative estimates. For a product with a 3-year warranty, the manufacturer most likely expects the device to last closer to 5 years. Nearly seven decades ago, T-REIGN was the company to first invent the personal retractor. In the time since, they’ve taken and used consumer feedback to perfect their retractor design. In their small retractor, T-REIGN has made something highly optimized for people handling lighter gear. This T-REIGN retractor makes use of a sturdy 24-inch Kevlar cord, which is more than ready to support up to 4 oz. of retraction force. If you’re not looking for extremely long cables or ultra-high retraction forces, then choosing this gear tether is a no-brainer. After only a few minutes of using T-REIGN’s small retractor, its strengths become obvious. The external casing is built from a rugged green polycarbonate that’s both impact resistant and weather resistant. And as a smaller gear tether, the build of this device is only about 4-inches long, and 1.5-inches across. That means it’s compact enough for essentially any type of use. And T-REIGN’s years of design experience shine through in many small ways. 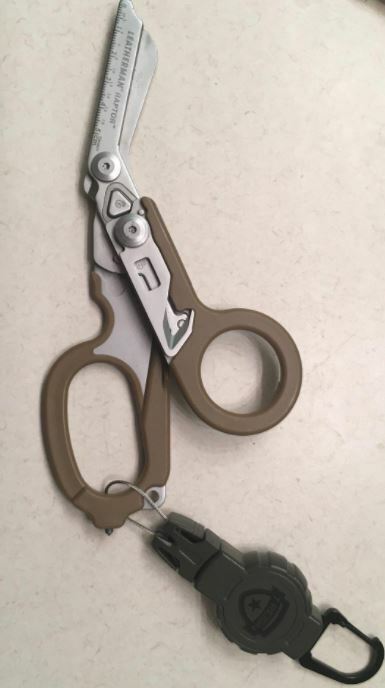 For example, the steel loop is easy to interact with because the clip on the case rotates freely for a smooth connection. Minor details like that ensure not only that your gear is securely clipped on, but also that using the device feels great. The cable itself is composed of stainless steel, which like the rest of the device, is made to hold up in essentially any environment. And the retracting spring and spool inside the composite housing have an equally sturdy construction. Unfortunately, there’s no belt clip on T-REIGN’s small unit, you’ll have to try the medium or large retractors for that. People who haven’t worked with Kevlar before may be concerned because the cord looks particularly thin, which doesn’t inspire confidence. But Kevlar is an incredibly sturdy material and the cord lives up to expectations. Additionally, you may want to know T-REIGN manufactures all their products in America, which includes American-based customer support. KEY-BAK’s SECURIT is clearly designed with keys in mind, but is adaptable enough to be put to other uses. The SECURIT is a heavy duty retractor, rated for 8 to 10 ounces of retraction force. 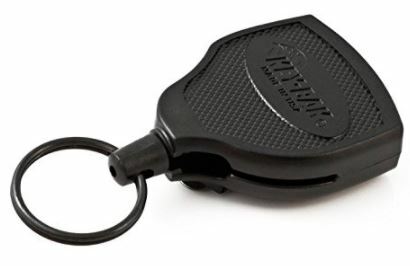 For forging connections, this gear tether makes use of a keychain carabiner with an extremely ubiquitous and wide mouth that can attach to almost anything. It also makes use of a lengthy 48” Kevlar cord. 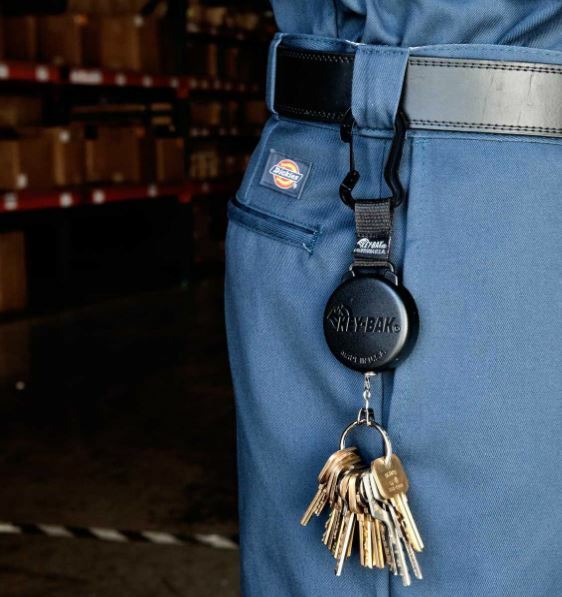 And if you need more protection then Kevlar can provide, KEY-BAK allows you to make an alternative connection using a 24” stainless steel chain. While the heavy duty unit has a relatively small retraction force, the SECURIT is also available in 15 and 20 oz. forces. Like the name suggests, this heavy duty retractor is built with a weatherproof polycarbonate casing, intended to withstand rugged outdoor living under everyday use for years. KEY-BAK boasts their Kevlar cord is five times as strong as steel relative to its weight, but if you don’t mind using a heavier chain, the 24-inch stainless steel alternative is great for some extra peace of mind. But there’s little reason to doubt the Kevlar cord. You could slam the cord in your car door every time you get out of your vehicle, and you’d still never have to worry about it coming apart. When people see plastic housing, they get understandable concerned. But there’s a huge range of plastics out there. Some are cheap junk, and others are hardened polycarbonate composites which can practically replace steel. 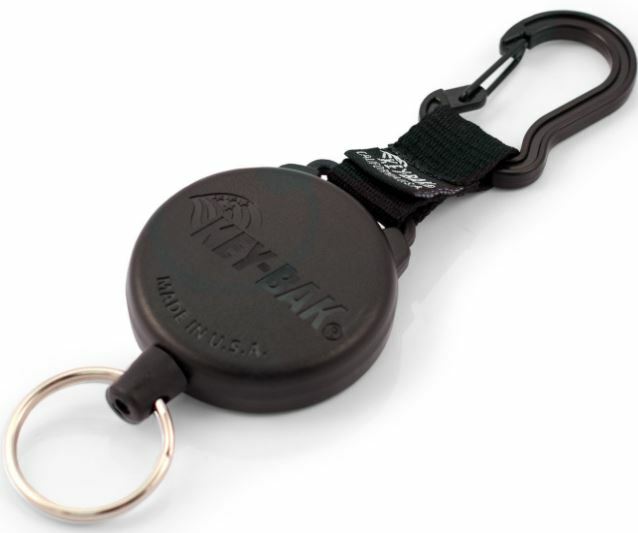 KEY-BAK’s SECURIT makes use of fairly high quality plastics, which are a critical part of the design for the purpose of maintaining a low weight. The heavy duty SECURIT makes use of a 1 x 5 x 8-inch design. That’s large enough for you to comfortably place about two quarters side-by-side on the face of the device. And the sturdy build doesn’t get in the way of this retractor weighing only three ounces. The entire unit, including the chain, has been constructed in the United States, and includes a lifetime service policy. 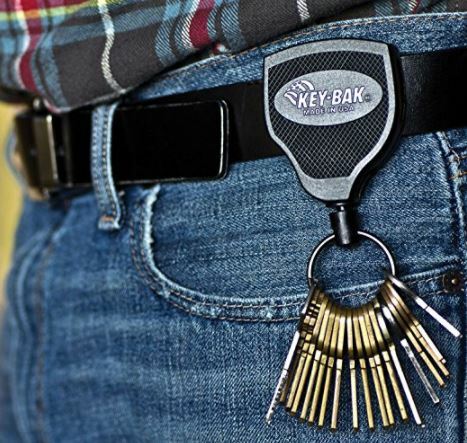 The SUPER48 is another in KEY-BAK’s long line of retractable key holders. SUPER48 is available in a variety of build types, including heavy duty, super duty, and “xtreme” duty. The heavy duty makes use of a 28” tether and 20 ounces of retraction force. Their 36” tether has 13 ounces of retraction force, and their longest 48” tether will support up to 8 ounces of retraction force. Because KEY-BAK makes use of similar guts in all their retractable key holder designs, that means no matter which unit you choose, your unit will be made from a stainless steel spring that’s been designed to endure more than a million retraction cycles. Once again, it’s worth knowing that KEY-BAK is the company that originally invented the personal retractor back in 1948. Their experience always shows in their products, and the SUPER48 is no exception to that. On this model, KEY-BAK uses a patented locking mechanism to help keep your tools steady at your side. And the SUPER48 has two attachment options, either stainless steel belt clip or a leather duty belt loop. If you’ve used a retractor before, the first thing you’ll notice is how the belt clip does a great job of keeping the reel in place. The next thing you’ll notice is how the locking mechanism is extremely practical and intuitive. Plus, the cord is indestructible to the point that it will almost certainly outlive the internal mechanisms, but only after a decade of regular use. Although all KEY-BAK products are built to be durable, the SUPER48 goes one step further. Short of taking a direct hit from a sledgehammer, the SUPER48 isn’t going to break down. The polycarbonate case is impact resistant, and the cord is made of a sturdy Kevlar. In other words, you’ve got a retractable key holder that’s guaranteed to outlast other retractors on the market. The SUPER48 doesn’t make use of a particularly quiet cord, but if you draw or retract it slowly it can be made fairly quieter. There’s also a slight clicking noise when you extend the cord from the locked position, which hunters may want to be wary of. For larger builds like this, KEY-BAK uses a surprisingly slim 2.25 x 2.75 x 0.75-inch design, ensuring the device doesn’t lose much of its portability. And fortunately, KEY-BAK offers the same lifetime service policy and American-based customer support as they do on all their other products. The SECURIT makes use of many of the same parts as the SUPER48. They both use a sturdy Kevlar cord, and a stainless steel spring tested to endure a million pulls. They both have the same lifetime service plan and American-based customer support. They’re also available in the same lengths and retention forces. If you don’t need a locking mechanism that goes a little further than basic security, than the SECURIT is an all-around great choice. If you need a locking mechanism that goes a little further, then you want the SUPER48. Its ball-joint locking system is paired with an extremely durable design that’s guaranteed to last essentially forever. You can choose between a leather loop or belt clip, and the range of available retention forces and tethers guarantees you can find the right size for your needs. 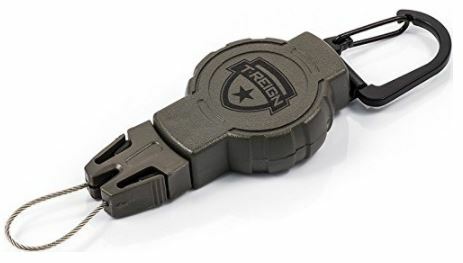 Finally, if you’re looking for a gear tether that’s particularly tiny, then you want T-REIGN’s small retractable gear tether. 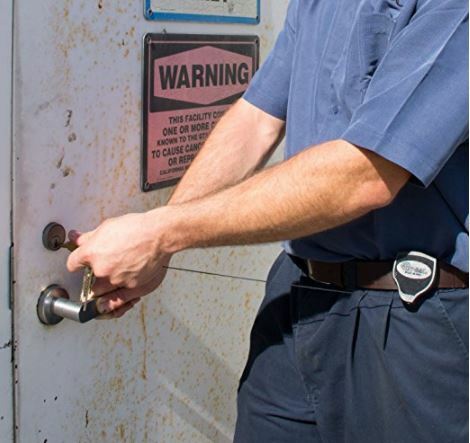 If you’re only getting a gear tether to keep tabs on your keys, then you don’t need to pay out for extra hardware designed for more rugged tasks. T-REIGN’s small retractor is a great choice if you’re looking for a simple tool for a simple job.